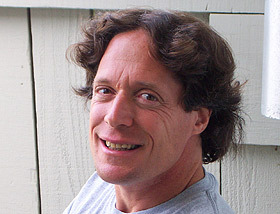 Luskin is the director of the Stanford University Forgiveness Projects, a senior consultant in health promotion at Stanford, and a professor of clinical psychology at the Institute of Transpersonal Psychology. Currently he also serves as the co-chair of the Garden of Forgiveness Projects at Ground Zero in Manhattan. Luskin has completed 10 successful research projects on the training and measurement of forgiveness therapy. Luskin’s research demonstrates that learning forgiveness leads to increased physical vitality, hope, greater selfâ€“efficacy, enhanced optimism and conflict resolution skills. His research also shows that forgiveness lessens the physical and emotional toll of stress and decreases hurt, anger, depression, and blood pressure. On three occasions he successfully worked with men and women from both sides of the violence in Northern Ireland who had family members killed. In addition, he worked with seven different groups of financial advisors after the stock market crash of 2000 to enhance their conflict resolution and stress management skills. Luskin is the author of Forgive for Good and Forgive for Love as well as Stress Free for Good.